I believe this is the best meatloaf glaze recipe and one of my favorite comfort foods my mother used to make. 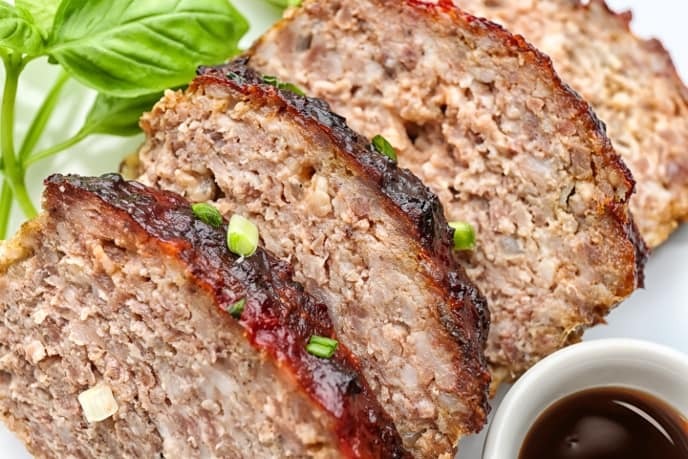 This classic meatloaf is perfect for weeknight meals for the family. And the best part is this can be prepared in minutes or mixed together the night before so it’s ready when you come home from work. There are no exotic ingredients needed for this recipe. You probably already have most of the ingredients you’ll need to cook up this delicious meal. What Makes A Good Meatloaf? There are a variety of meatloaf recipes involving different ingredients. All of them I’m sure are delicious. No matter what kind of meat and spices you use, all good meatloaf have two things in common: moist and flavorful. A good meatloaf needs to be moist and tender. You can achieve this by having the right meat to fat ratio. I recommend at least 15% fat. 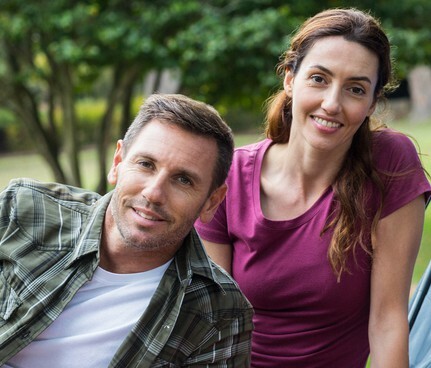 Lean meat will leave you with a dry meatloaf. You’ll also need to use soaked breadcrumbs as this is an important ingredient to bind the meat together and keep it deliciously moist. I recommend soaking it with milk until it becomes soft and mushy. Now, this is important…the flavor. Nobody wants a bland meatloaf. To avoid this mistake, you need to season the meat with your favorite spices BEFORE mixing. You’ll be able to clearly judge the amount of spices on the meat before mixing. Another component in adding flavor is the vegetables. You need to add this the right way by sauteing the veggies first. This will add texture, flavor, and more moisture. How do you know you have the right meat and seasoning mixture? Obviously, you can’t eat the raw meat so I suggest frying up a small portion of the meat mixture and give it a taste test. This should give you a good idea if you need to add some more herbs and spices. Let’s start with the meat. My particular recipe requires plain ground beef. Other recipes combine different types of meat such as pork and turkey. There is nothing wrong with combining different meats. Whatever meat you choose, remember to have at least 15% fat content. Get the meat to fat ratio right and you are already halfway there. Now it is time to get cooking. This is a crucial step most people skip. I saute all chopped onions and garlic. Never add raw onions, garlic, and other veggies into the meat. Sauteing gives it the right texture and flavor. Now it’s time to add flavor. When it comes to ingredients, I add the usual ingredients that most meatloaf recipe calls with an additional one secret ingredient. Yes..beef broth not milk. This will give your meat that deep meaty flavor. I don’t use milk as it tends to mask the flavor. Prepare the glaze and the last part is easy. Once you have mixed all the ingredients and place the meat on a baking dish. It is time to bake. Believe me, it is worth the wait! Take a look at that deliciousness! Once the meatloaf is done, you need to let the meatloaf rest for at least 5 minutes. I know this can seem like an eternity once you start smelling the meatloaf out of the oven and your stomach starts growling. However, you don’t want all that juicy goodness flavor seeping out of the meatloaf if you slice it too soon. 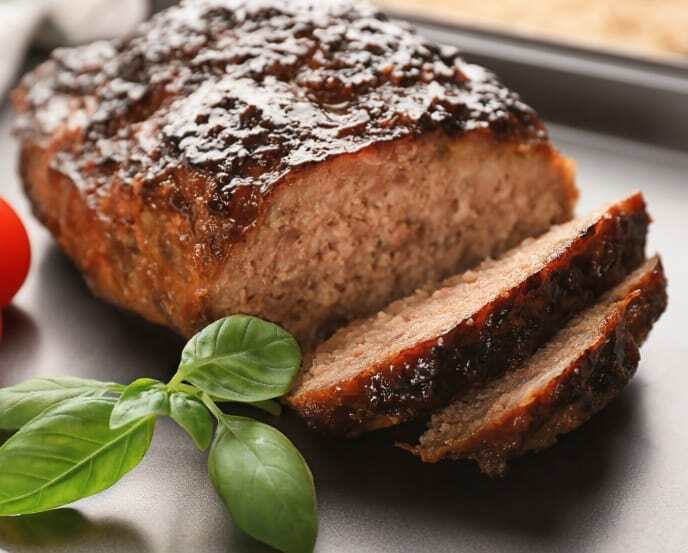 Try this simple but delicious brown sugar meatloaf glaze recipe. In a small pan, heat up to medium and add a teaspoon of oil. Saute diced onions for about 3 minutes. Add minced garlic and fry for another 1 minute. Set aside. In a bowl combine pepper, worcestershire sauce, ketchup, mustard, beaten egg, and beef broth. Whisk until all ingredients are thoroughly mixed. Add the sauteed onions and garlic, ground beef, and breadcrumbs. Mix using your hands. Add the meat mixture on a baking dish or loaf pan and baked at 350F for 1.5 hours or longer until meat temperature is at 160F. In a saucepan, combine glaze ingredients and reduce over low heat for about 10 minutes or until thick and glossy. Brush glaze on top of the meatloaf the last 15 minutes of baking. Ideas on what to serve with meatloaf? 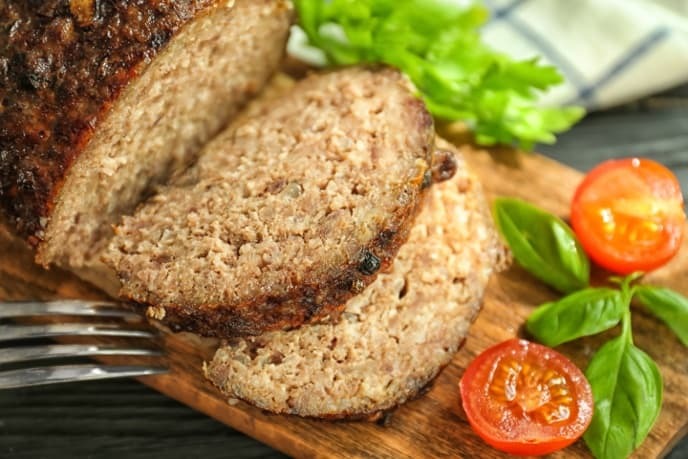 Comfort food such as meatloaf goes well with many side dishes such as mash potatoes, roasted vegetables, sweet peas, carrots, corn, and stewed tomatoes. What to do with leftover meatloaf? There are many ways to create a new meal out of leftover meatloaves such as meatloaf eggroll, stromboli, quesadilla, and chili. Normally meatloaf falls apart when it’s too dry from not adding enough ingredients. Follow my recipe and you should not have this problem. How many calories in a slice of meatloaf? This will vary depending on the size of the slice but typically a 4-ounce serving will be around 260 calories. Yes, you can freeze meatloaf either raw or cooked. Raw meatloaf if wrapped correctly can be frozen up to 6 months. Can you make meatloaf in a crockpot? Although I like cooking meatloaf in an oven, you can cook meatloaf in a crockpot. This will obviously take more time to cook. hi, what can be substituted for honey whiskey? or does it have to be honey whiskey? You can use honey or leave it out.